On April 20th, join the world’s most bizarre Easter egg hunt. 5,000 eggs and 13 golden surprise eggs will be hidden in the Winchester Mystery House‘s Victorian Garden. Festivities start at 10 am, with the hunt starting at 10:30 am. Let the kids get their wiggles out in the bouncy house, get a glitter tattoo and grab some sweets and treats. Get the whole family together for a photo at the Easter photo booth. Special guest Mr. Jelly Belly will be in attendance with free samples. The outdoor egg hunt is free and open to the public. Food and drink available for purchase. 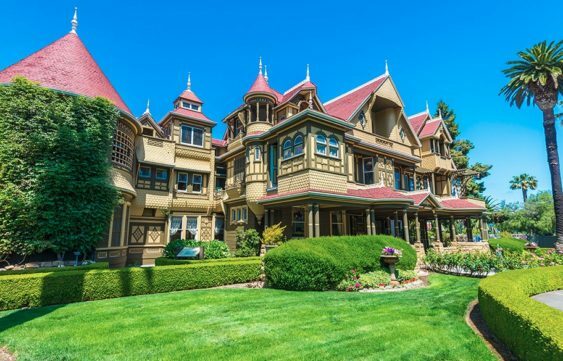 Tickets to tour the Winchester Mystery House are available for purchase.